Calderon and Patterson were arrested on April 29, 2018, after they were identified as the offenders wanted in connection to a burglary of a church that occurred on April 15, 2018, in the 700 block of N. Wabash at approximately 7:30 p.m. The offenders worked for a security company and entered the church using a key and while inside gained access to a safe and removed an unknown amount of cash. Calderon and Patterson were identified through video surveillance and were placed into custody without incident. No further information is available at this time. Area Central Robbery/Burglary team along with the 12th District Robbery/Burglary team officers assigned to a robbery mission team identified Thompson as one of three offenders wanted in connection to a robbery. The incident occurred on April 18, 2018 in the 500 block of N. Wood at approximately 1:45 p.m. during the incident the offenders exited a vehicle and began to punch and beat the 25 year-old male victim, knocking him to the ground. The offenders then took the victims wallet before fleeing in a vehicle. Thompson was identified through video surveillance and was arrested on April 25, 2018 in Broadview, IL without incident. Through the course of the investigation officers developed information on the whereabouts of the two additional offenders. Foster along with the juvenile were located and placed into custody on April 29, 2018 without incident and charged accordingly. No further information is available at this time. This alert gives notice of apartment burglaries that have occurred within the boundaries of the 017th District (Albany Park) on Beat 1732. In these burglaries, the offender(s) entered the apartment through the rear door or through a window and took property. This alert gives notice to residents in the 10th District (Ogden) of an Attempt Criminal Sexual Abuse incident that has occurred. While walking in the area of 3535 W Roosevelt, a juvenile female was approached by an unknown male. The offender attempted to inappropriately touch the victim. The victim relocated to a nearby business for safety and the offender continued E/B on Roosevelt. This alert gives notice to several Burglaries to businesses located within the boundaries of the 19th District (Town Hall). In these burglaries, the offender(s) shattered the front door glass of the business before entering and prying open an ATM machine. These incidents have occurred after the businesses have closed. 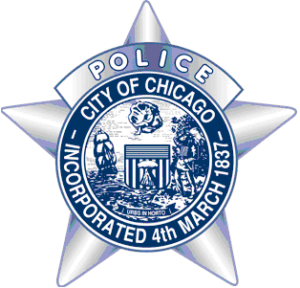 This alert gives notice of garage burglaries that have occurred within the boundaries of the 17th District (Albany Park) on Beat 1722. In these burglaries, the offender(s) entered garages and took property. Area Central Detectives are seeking to identify the below pictured individual in regards to an Aggravated Battery (stabbing) incident that occurred on April 27, 2018 on the 100 block of West Van Buren at approximately 8:42 p.m. The victim stated that he was standing at the location of the incident when the offender approached him and asked for a cigarette. When the victim replied, No, the offender then stabbed the victim in the neck and the stomach. The offender fled in an unknown direction. The victim walked a short distance where witnesses found and assisted him. This alert gives notice of Armed Robberies and Aggravated Vehicular Hijackings that have occurred within the boundaries of the 017th District (Albany Park). There were three Robbery-Related incidents that occurred on April 15, 2018. In the first two incidents, the offender(s) displayed a handgun and demanded property from the victim(s). In the third incident, the offender(s) demanded the victim’s property and they also took the victim’s vehicle. In the incident on April 25th, the offender(s) displayed a weapon and ordered the victim to exit the vehicle and they fled in the victim’s vehicle.